Have you ever wondered what your nightmares say about your personality? Or, to put it another way, how your personality can influence your nightmares? Check out the fantastic, whimsical nightmare graph from Personality Playbook. First, take this quick test to see which type best matches your personality, and then compare your main character traits with a corresponding cartoon nightmare. It is astonishing what you can find out about yourself once you understand your core instincts. So how might each type typically finish the sentence “Last night, I had the worst nightmare, I …”? ISTJ: … was trying to meet a major deadline … I kept asking my boss what the project goal was, and all he would say is, “Just do something!”, despite my pleas for details. ISFJ: …walked though a hundred rooms, and in each one, everyone was angry with each other and fighting … They even yelled at me for being too organized! INTJ: … was taped to a chair at a lecture of speakers who were the worst in their fields, but thought they were the best … and I couldn’t speak to argue! ISTP: … had to watch people complete tons of processes incorrectly or be shot … Then I realized it was a dream, said, “screw this,” and woke myself up. ISFP: … moved to this place where everyone was rude, loud, uptight, and constantly yelling about setting deadlines, writing reports, and finishing work now … or else! Chill, people! INFP: … was in place that was just black and white, had no creativity at all, and insisted that all people be as similar as humanly possible … individuality, not allowed! ESTP: … got diagnosed with a disease that would make any adrenaline rush kill me … I couldn’t do anything but sit and try to stay as bored as possible. ESFP: … received a letter in the mail stating that all social engagements from now on were cancelled, and people had to stay in their own houses at all times. ENFP: … completely lost the ability to interact with other people in any way except for facial expressions … No talking, listening, writing or even sign language, bummer! ENTP: … got sentenced to solitary life in prison for trying to debate a federal law that made fighting, arguing, or debating in any form completely illegal. ESTJ: … tried to hire a team to work on a really important project, and everyone I interviewed was a total slacker who wouldn’t follow a single direction! ESFJ: … read in the newspaper that, due to political correctness, all holidays and traditions had been deemed immoral and illegal … no celebrating allowed! ENFJ: … was threatened into becoming a member of a commune that didn’t allow speaking, music or noise of any kind … and … they held mandatory meetings on the fly! No schedule! ENTJ: … came up with the greatest idea ever, that required many people to carry out, but could suddenly only speak and write in a completely unknown language! 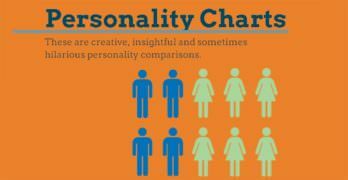 In all the world, for better or worse, each one of us holds an inborn tendency for one of the 16 personality profiles. Lots of people can have some of each trait, but there will also be a tendency towards being more prone to only one type indicator. You likely already know if you are more reserved than outgoing, or the other way round. Being shy does not necessarily mean you are an introvert, just as being overly loud does not always translate into you being an extrovert. The other indicators are meant to help you understand if you are primarily sensing or intuitive, thinking or feeling, or judging or perceiving. 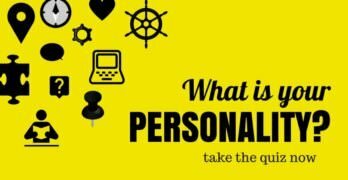 Your personality type can be a helpful aid when deciding on a career field. For example, an INTP individual tends to be thoughtful and analytical. These are good skills if you are thinking about being a scientist, psychologist, or engineer. Albert Einstein and Carl Jung were two notable individuals with INTP personalities. Another example is the ESFJ individual. This personality type tends to be warm and caring, and they have a genuine interest in helping other people. These operating skills, work well for teachers, religious leaders, and social workers. Desmond Tutu, Elton John, and Whitney Houston are high profile individuals with ESFJ personalities. So, how closely does your type profile match up with your career ambitions? Which famous celebrities and world leaders, share your personality traits? When you know your personality type, and the personality type of others, you will have a greater understanding of why people act, and react, the way they do. You will also know what motivates and interests others once you know their intuitive strengths and weaknesses. It really is astonishing. What I understood from this was that if one who has a certain personality type out of these 16, say ESFP, finds himself into a situation similar to what’s written in ESFP, then that hellish situation based on his personality, would be nightmarish for him. Now, my MBTI personality type is INFP and I also can relate to each word of what’s written in its description. I would be dead scared of a place where there’s no creativity around and every one is like a robot with no individuality. That surely would be my worst nightmare.